Astoria Cedar Arbor Kit | Free Shipping! 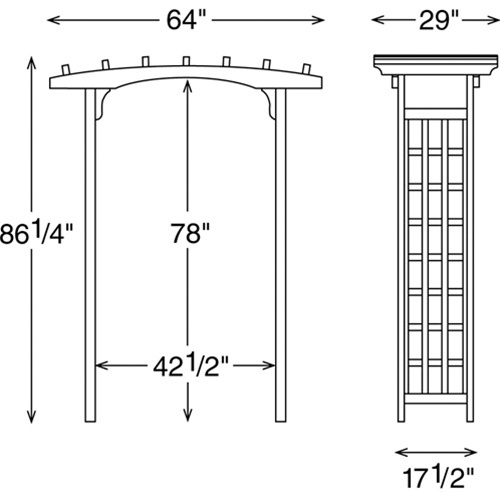 The Astoria is a pergola-style arbor, with its large bow shaped header and straight lattice side panels. 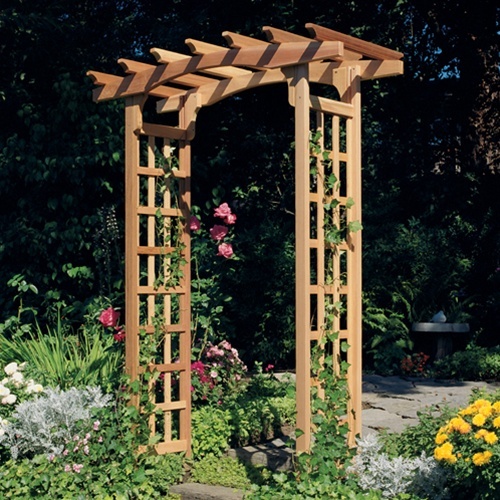 This arbor is constructed of 100% premium grade Western Red Cedar, a wood known for its durability and weatherability. Cedar is also a naturally pest resistant and decay resistant wood. 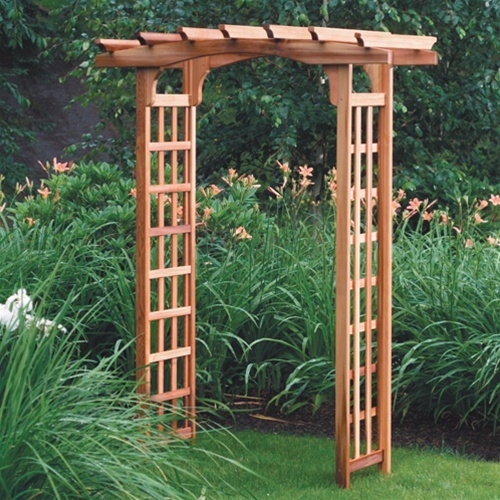 The Astoria arbor can be easily converted into a charming place to sit in the garden with the addition of our Arbor Seat & Back (sold separately). Shipping carton dimensions: 83" x 18" x 5"